Los Altos Hills is a beautiful city in the Santa Clara County with a population of 7922 (as of census 2010 based on information on Wikipedia). This city is blessed with the thrills of majestic views, winding roads, and is blessed with the beauty of mother nature. The price range of real estate in this area is usually well upwards of over a million and half dollars, and thus the typical number of days (DOM) that Los Altos Hills homes on sale would stay on market is usually in the high tens of days. 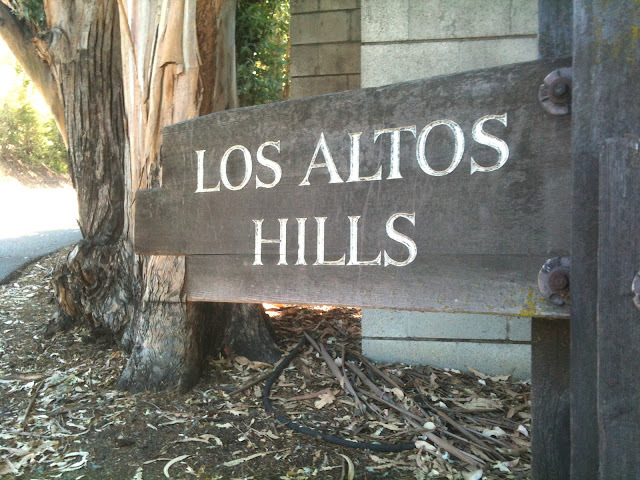 Los Altos Hills is typically known for its picturesque hills with many large sized houses on large lots. Los Altos Hills is a very attractive area for investors and long term exclusive buyers who are desirous of settling down in a peaceful, safe, upscale and beautiful location and neighborhood. 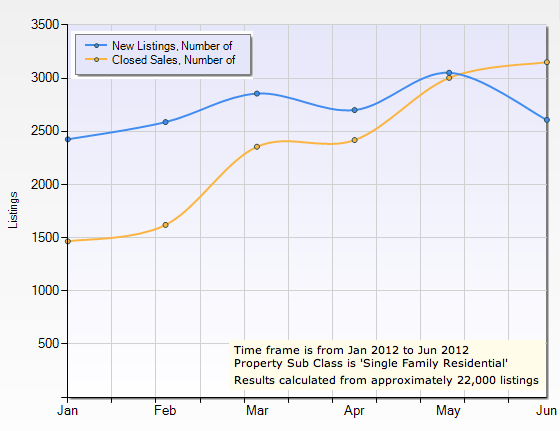 The Los Altos Hills area real estate market is showing a solid recovery trend particularly in June 2012. The chart above for Single Family Residences in Los Altos Hills shows that the Average Days On Market that houses remained on market declined to 29 days in June 2012 after ranging between 44 and 66 days until May this year. The year-to-date numbers provide insights into demand patterns as well. As demand has grown, the Average Sale Price has trended above the Average List Price since mid-February and has reached 102.5% of List Price in June 2012. This shows that the market recovery is coming through very well as the economy continues to improve. Another chart that is of great relevance is the one above showing the number of recent Homes Sold Listings number versus number of New Listings. The above chart shows a higher growth trend in the number of Homes Sold Listings over the number of New Listings of homes on sale in Los Altos Hills. The number of New Homes on Sale Listings trend indicates lower number of homes coming to the market for sale in the 94022 zip code area indicating a shorter supply of homes than before. This could lead to buyers competing for fewer available properties. In summary, Los Altos Hills residents who are looking to sell their homes can look forward to better returns on their investments with a shorter turnaround time for the sale, if current market conditions continue. For Buyers or Investors, a turnaround market represents an opportunity to invest for the longer term as the real estate market is bottoming out. Investing now has the potential of sustained long term return on investments.